Here’s a great game written by Martin Sears that really gets your brain working. 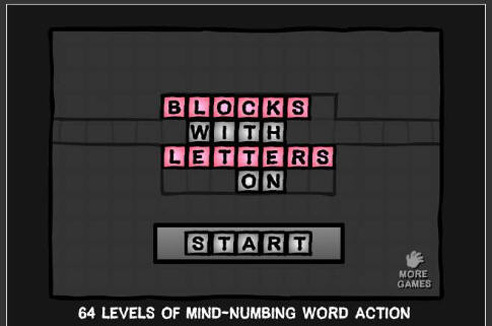 It’s a simple game that hinges on moving blocks around the screen and making sure that words are spelled correctly. I’m not sure I’d use this game with a class , but I might set it for homework and ask students how the got on in the next session. Although the words are quite simple to start with, they get tougher so I’d suggest using this with at least a pre-intermediate / Entry 3 / B1 class. Play the game by clicking here or the picture above.